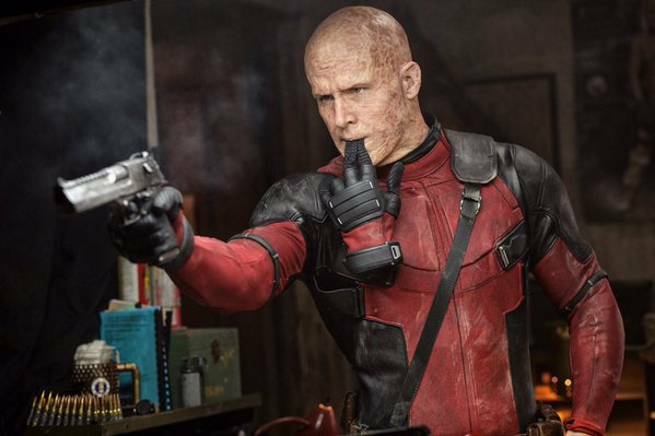 Deadpool has had a strange gestation period as far as movies go. A script was written, test footage made, but then the project just sat on the shelf at Twentieth Century Fox for four years. It was only after the test footage mysteriously leaked to the public and was met with a huge fan reaction that Fox finally pushed the film into production. Star Ryan Reynolds was a guest on The Tonight Show, where he explained the whole process to host Jimmy Fallon, even hinting that he may have some idea who was responsible for the leak. Deadpool is directed by Tim Miller, with a screenplay by Rhett Reese and Paul Wernick, and stars Ryan Reynolds, Morena Baccarin, Ed Skrein, T. J. Miller, Gina Carano, Brianna Hildebrand, Stefan Kapičić, and Leslie Uggams.